Visual, completely wordless, comedic physical theater. 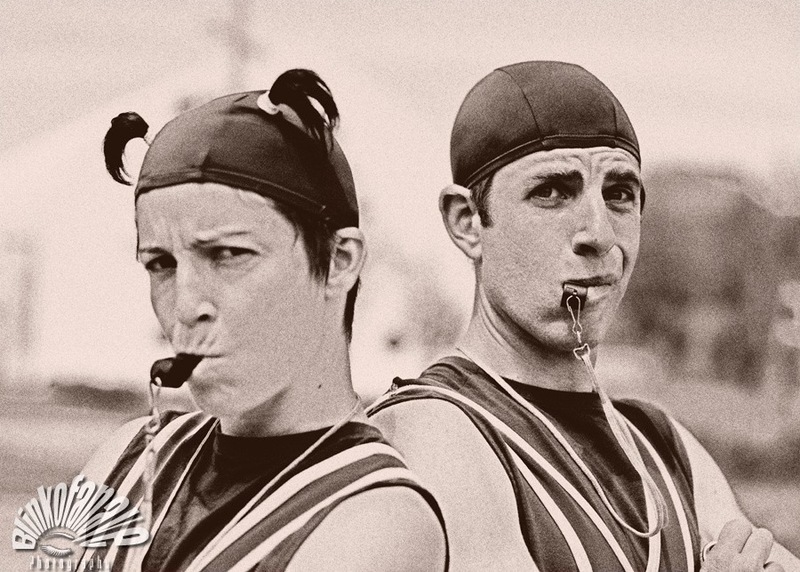 The Acrobuffos present sophisticated image-driven performances, playing games using poetic mime. They are not your typical clowns - they are artists and surrealists - who will not be easily categorized. Seth Bloom and Christina Gelsone created Acrobuffos in 2005 with the goal of making wordless shows to entertain audiences across the globe. They are on the road an average of 200 days a year. When not on tour, Seth and Christina live in Harlem, New York City. WHERE IN THE WORLD ARE THE ACROBUFFOS? 1. a silent comic actor creating spectacular feats of laughter.